I’m thinking of Boston today. The TV is off, the news is silent, so I’m focusing on the above image to put those smoky, gory pictures and videos out of my head for a bit. I can’t say I’ve spent too much time in Boston. There was the obligatory visit as a child during my family’s two-week summer tour of significant East Coast historical sites. Then, many years later, I went there to do a travel story for an online magazine. That magazine – despite promises to the contrary – didn’t amount to much in market share or money. But that story and the time I spent in Boston have lingered in my mind since the events of yesterday at the finish line of the Boston Marathon. As a writer (and former newspaper journalist) in this world dominated by the immediacy of social media, it’s a challenge to respond to everything as fast as everyone else and with any amount of depth. In the absence of some brief message of condolence, sympathy or outrage via Facebook or Twitter, it’s often hard to form coherent thoughts in the face of tragedy like this. Some people come off sounding trite. Some just sound like assholes. Others, like comedian Patton Oswalt, sit down and compose a bit of impromptu poetry without even realizing it. I was where many people were yesterday afternoon – neck deep in the commitments of my day. Kids home from school, karate lessons and dinner preparation were all taking place as I tried to answer questions from my 9 year old about what was happening and why. It wasn’t until the kids were in bed that I was able to catch up on the full extent of the horror. I reserved my response to those closest to me – my wife and my son. This morning, when my 5-year-old daughter saw the newspaper photos, I had to gently explain what had happened without getting too explicit. This after having already had to deal with school disciplinary issues and the illness of a dear friend. My heart was not in sharing thoughts with the world but with drawing the ones I love close to remind myself of what is good. A hug from your child. A kiss, sweet with therapeutic wine, from one’s spouse. Sitting down to dinner and the blessings of the small portion of abundance we share in our country. Close friends who rally together for each other, despite the constraints of geography. Tragedies like yesterday’s bring us together, too. With Boston’s place in American history and runners from every part of the nation, the entire country had some stake in what happened. But truly, we have a stake in what happens everywhere every day. You don’t love your kids only when they’re good. You don’t care for friends only when they’re healthy. But it’s frequently those bad moments that highlight how deeply we feel about the people and places in our lives. It saddens me that it takes something terrible to bring us together. So look away from the news for a moment and take a look at the picture above. 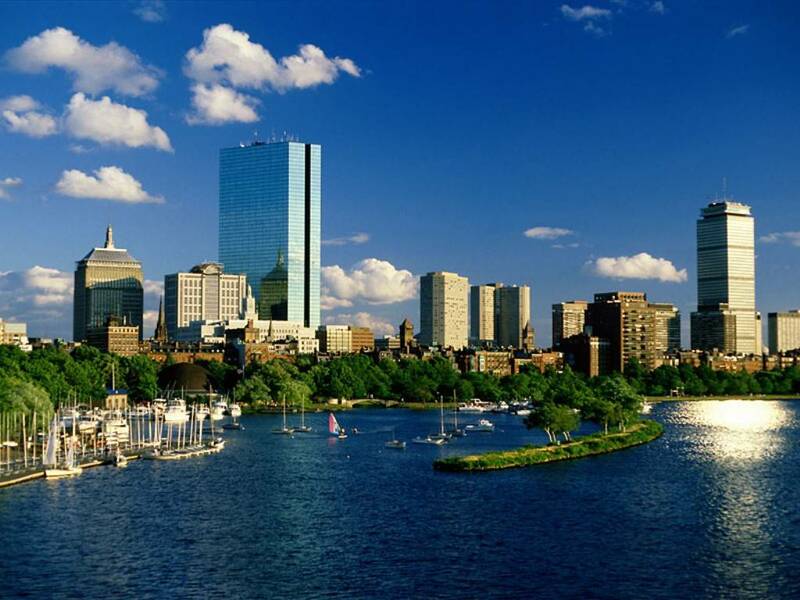 The graphic images of Boston in the news are what we see right now, but that lovely low-rise city poised on the river – that is the real Boston. This is beautiful, Scott. I’ve (we’ve all?) struggled with the aftermath of this (yet another?) senseless tragedy. I appreciate your thoughtful words here — for the most part, I’ve avoided commenting aside from a brief but heartfelt message of condolence on my FB page. I know there are things I want to say, but there are those, like you, who will say it better than I.